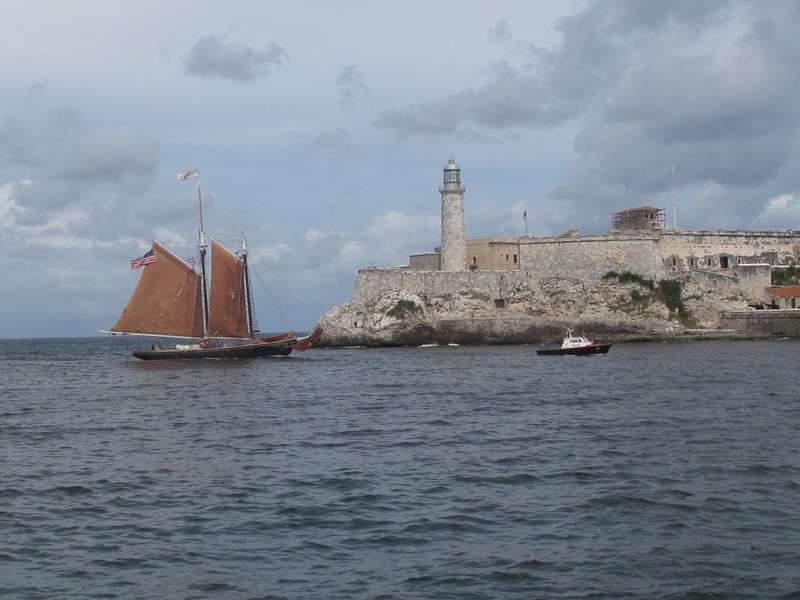 The image of Roseway sailing into Havana Harbor, with Castillo de San Salvador de la Punta to starboard and Castilo De Los Tres Reyes Del Morro to port was a truly powerful moment for Proctor Academy and our Ocean Classroom Program. For the first time in over 57 years, an authentic US Tall Ship sailed into Havana Harbor, and our students were able to be a part of this historic day. While there has been much press around the event, I was immediately reminded that the human-side of this story is far more powerful than the political-side, and in the end, it is the human-side that matters most for our students and their educational journey. I have been in Chicago since Wednesday and flew back Friday afternoon. These are wild times in the windy city. Chicago hasn’t won the World Series since 1908 and Cubs regalia can be found on every street, white “W” towels and flags are ubiquitous, and people whisper about tickets. Who has them? How did they get them? They sell for thousands of dollars. There are whispers of forty- thousand dollars for a seat. A seat. Bars out near Rigley Field plan to charge a 200 dollars cover on game day. For that price you get to watch the game on a television close to the ballpark. That’s it. The lions outside the Art Institute of Chicago wear big, blue Cubs hats perched on their majestic heads. Clearly this city wants to roar. Is roaring hard. 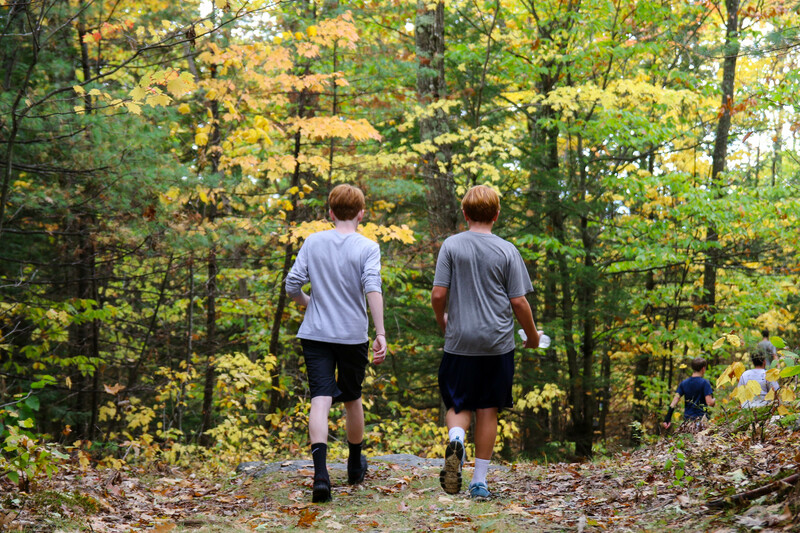 Each day we are reminded that while we often live in a bubble at Proctor Academy there is so much more depth to the world around us. 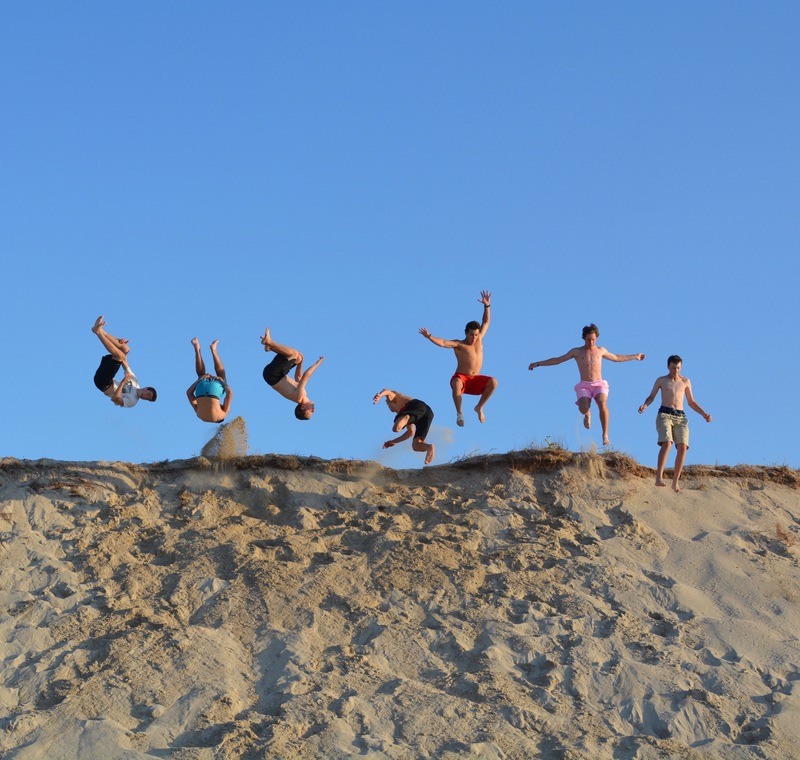 Regular blog posts from Ocean Classroom, Mountain Classroom, European Art Classroom, Proctor in Costa Rica, and Proctor en Segovia help us emerge from the Proctor bubble as we watch peers explore the world and all its complexities. 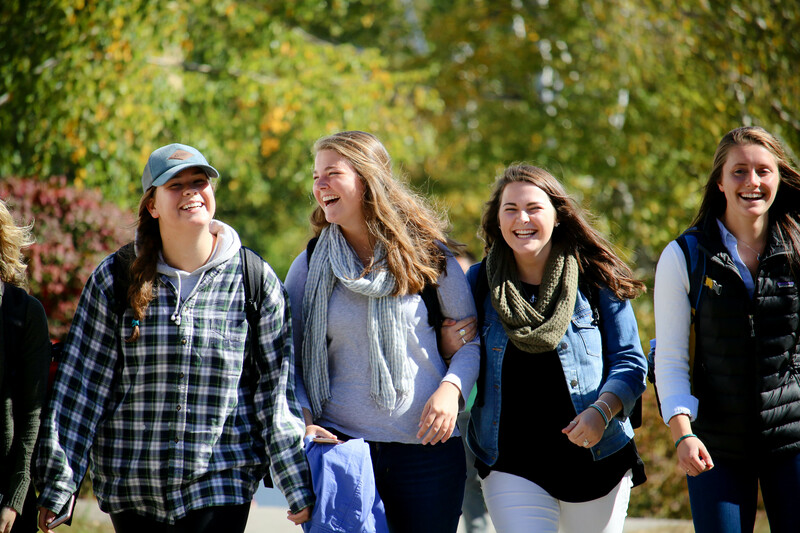 Similarly, our involvement with Special Olympics and opportunities afforded us through Project Period further expose our students and faculty to a much broader world than our geography would otherwise allow. 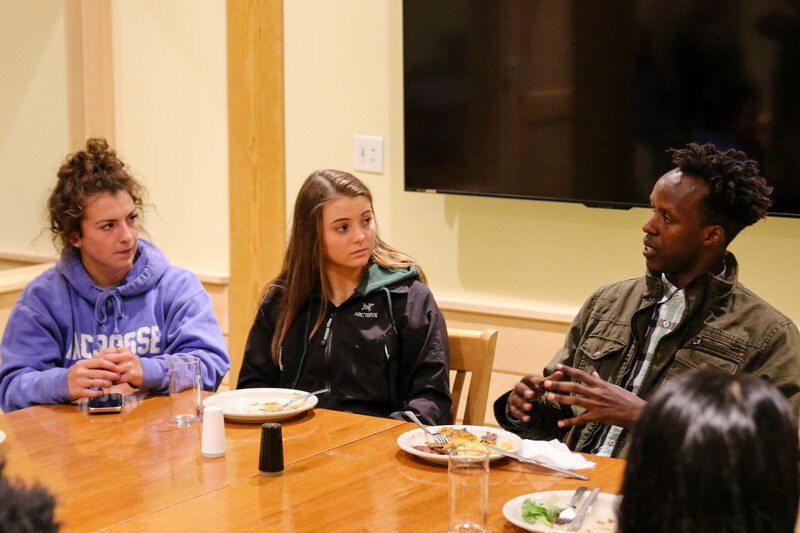 While Ocean Classroom made its historic entry into Havana Harbor, Proctor welcomed Julie Marner, Executive Director of Burundi Friends International, and Fabrice Bizimana, a native of Burundi and former student of Julie’s, to campus. Over the course of their four days at Proctor and Dartmouth College, Julie and Fabrice provided invaluable insights into the people and culture of Burundi, all while allowing us to live and learn outside our bubble. Ali Berman ‘07 arrived on Proctor’s campus as an eleventh grader and quickly discovered her love of writing. She never imagined her avocation (writing) would ever evolve into her vocation, especially because learning did not come easily to her early in her academic journey. “When I came to Proctor, learning was hard for me, but through my time in Learning Skills, I was encouraged to explore how I learned, and through that process I become empowered as a learner.” Over the course of her two years at Proctor, lessons in self-advocacy and self-awareness she had begun to explore prior to Proctor solidified themselves as a central part of her identity. Last week, Ali returned to campus to share a message with students on how to lead a purpose-driven life and lessons from her journey since graduating in 2007. She also discussed taking the TEDx stage this summer and her current job as a full-time writer for Singularity University. 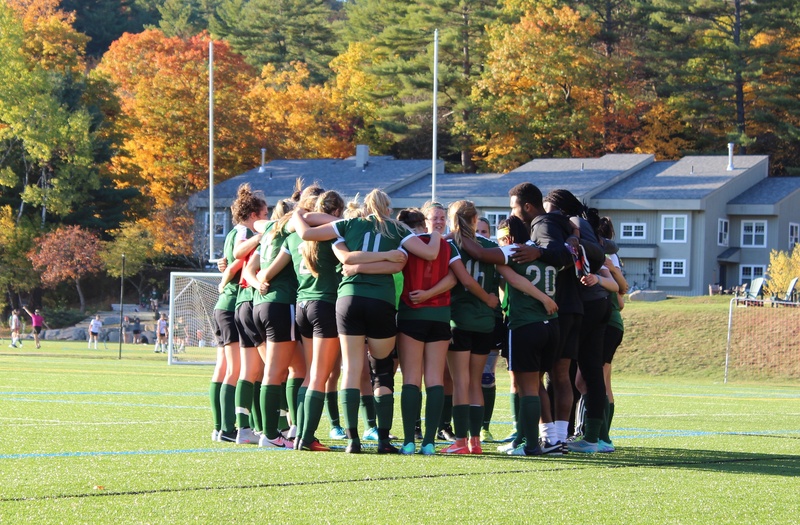 Proctor’s girls’ varsity soccer team knew they would experience some growing pains this season with ten freshmen and sophomores on the roster and two new coaches at the helm. After getting out to a strong start, a combination of untimely injuries and stiff Lakes Region competition have provided the types of challenges first year head coach Carlton Wheeler-Omiunu and his assistant Lindsey Allenby know will pay dividends for the program in the long run. With five games remaining in the season, the team looks to improve upon its 3-6-1 record and lay a solid foundation for the future. There are stacks of books in our house. There is a pile steadily growing in my office. I look at the titles: Braiding Sweetgrass, Being Mortal, Great Modern European Short Stories, Redeployment. I have read many, started more. Where to find the time to get back to, settle down with, and lose myself in their pages? My time to do so has been compromised. I slip into my iPhone. I read the news, browse through editorials, check the weather, check the scores (Cubs won yesterday), check email, text. I multi-task, flicker from this to that and back again. 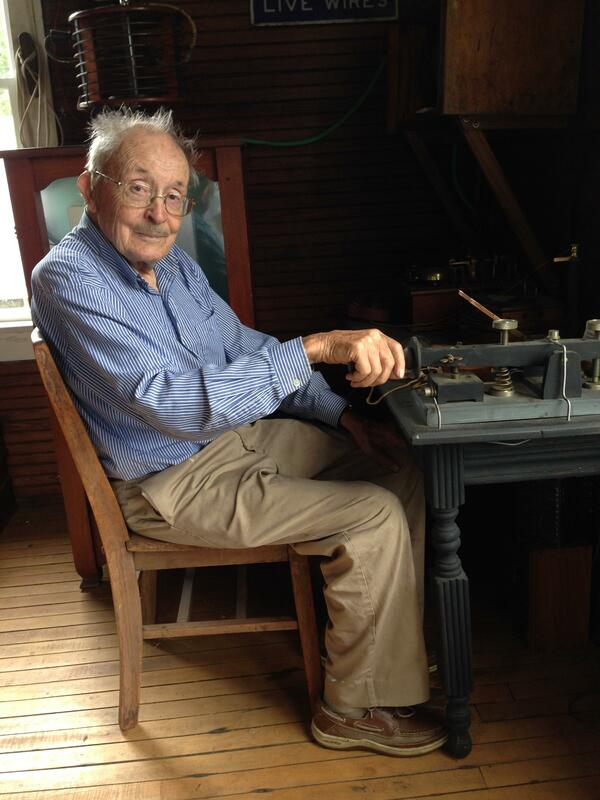 The margin time, the free time, even the uninterrupted work time, is increasingly compromised. Cristiano Ronaldo is coming down the right side of the field with the ball. This mastermind of a soccer player is not thinking about the 68,000 people screaming for him, watching his every move, nor is he thinking about how the home team is down 0-1 and it’s a must win. Ronaldo’s mind is locked on to the field, and as he dribbles the ball he is processing in his head where every defender is, what they may do and what he must do to get past them. Out of the corner of his eye he sees Bale open. He can read his fellow teammate’s mind, knows where he is going and knows where he would like the ball. And, in less than a second, Ronaldo strikes the ball in such a perfect way that it sails across the field, over all the defenders, curving in midair to perfectly hit Bale to head it forward to score a goal. The second Ronaldo passed the ball he knew Bale would put it away; now all he had to do was watch. We shared the video below on social media yesterday and it took off like wildfire getting thousands of views from our current parents, faculty/staff, and alumni. The message in the video is simple: every journey starts from what is familiar and along the way evolves into the brand new as you are challenged, supported, and guided by opportunities and the people that enter your life. Academic Lens: Preparation for What? 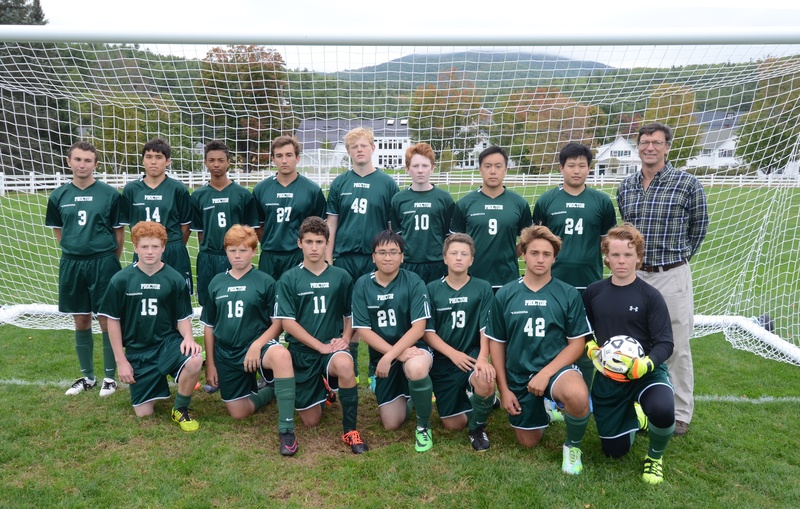 Proctor identifies itself as a prep school. It’s a term high schools around the world use to refer to their focus on preparing students for college or university. While college is absolutely on the immediate horizon for all of our students, we want to expand the realm of ‘preparation’ to more than just college. 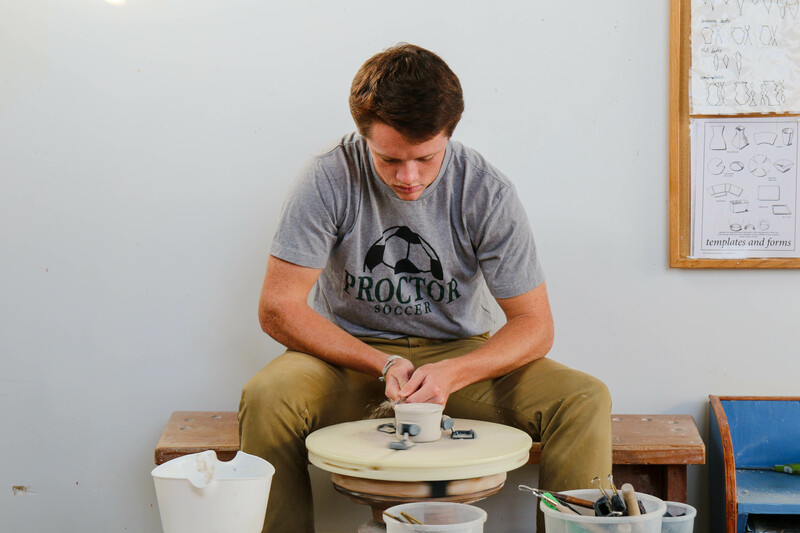 Proctor Academy prepares students for life. Proctor Academy's Ocean Classroom aboard Roseway has arrived in Cumberland Island, Georgia. Daily journey reflections can be viewed on the World Ocean School's website. This entry by Raizel '17 provided a beautiful window into the group's remarkable journey at sea. Enjoy! In 1998, Kimball Union Academy’s Mountain Bike coach Bill Farrell, Kennett High School’s Chris Darling, and Phil Ostroski put their heads together to figure out how they could create a high school mountain biking race for New Hampshire schools. 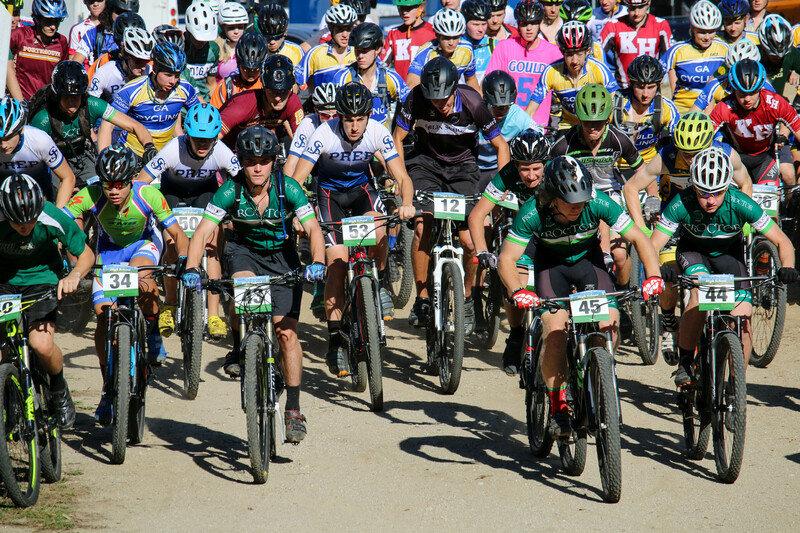 Shortly thereafter, the Northern New England Mountain Biking League was formed, starting with five high school teams competing, bringing roughly 100 riders to each competition by 2006. Coaches were ecstatic about the opportunity they were able to provide their riders, and over the course of the next decade, the Northern New England Mountain Biking League would grow leaps and bounds to encompass over 330 riders from 29 high schools in four New England states. 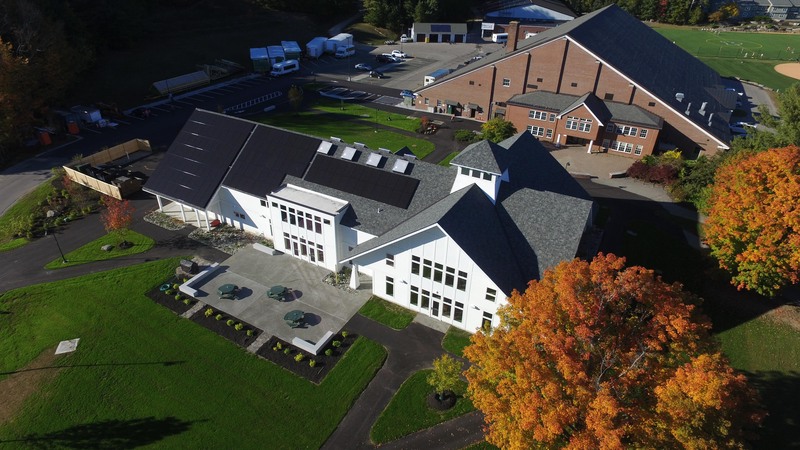 Proctor Academy opened the doors to a net-zero ready dining facility, Brown Dining Commons, this fall. The building is the first of its kind in New England and serves three meals a day to Proctor’s 370 students and 150 faculty and staff. 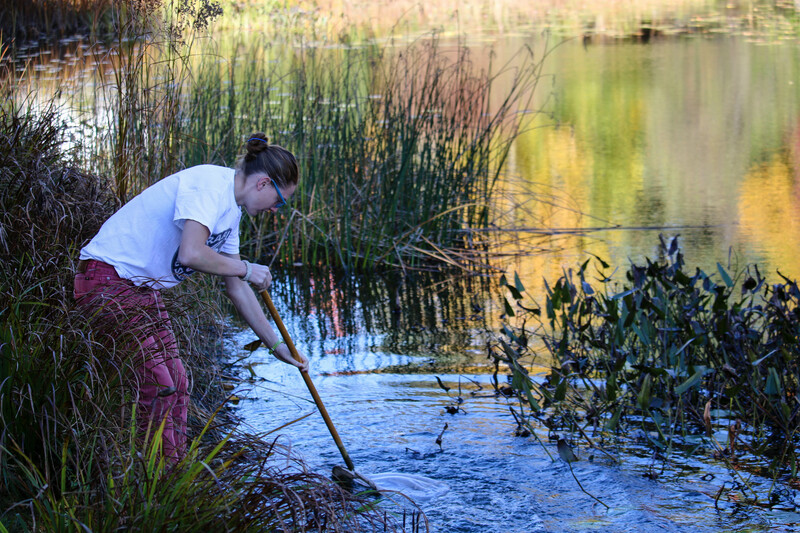 Proctor has long demonstrated an institutional commitment to environmental stewardship, installing a biomass heating plant in 2008 and more than 360 kwh of solar panels on campus over the past twelve months. When it was time to design and plan a new dining facility due to insufficient space in the old Cannon Dining Hall, Proctor’s Board of Trustees and Administration set out to build the most environmentally friendly dining facility at an independent school in New England. Just over a year after construction began, that vision has become a reality thanks to the generous contributions of many donors. The building's name honors The Brown Foundation, Inc. of Houston, Texas leadership commitment to the project and longtime friendship to Proctor. 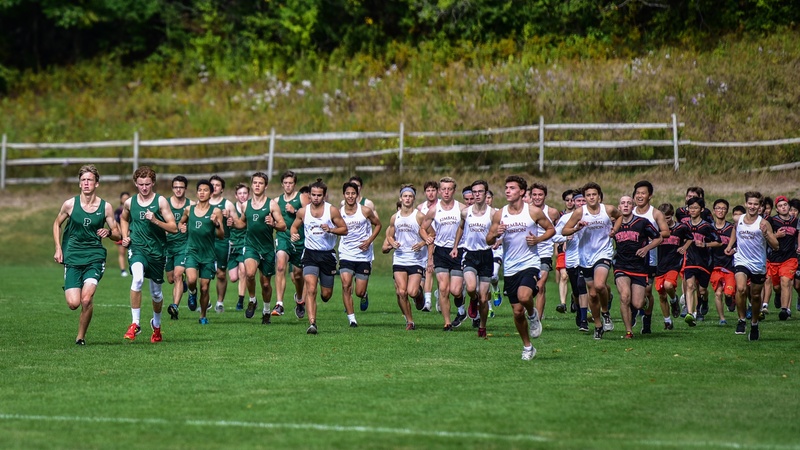 Proctor's Cross Country Running team often flies under the radar during the fall athletic season. Perhaps it’s because the team, like Mountain Biking, only has one (maybe two) home races a season. Or maybe it's because their training takes them to the far reaches of the Proctor Woodlands and only periodically pass through the center of campus for others to see. This lack of notoriety does not impact the commitment this dedicated group of athletes puts into training and bettering themselves as athletes. On April 29th, 2015, the Baltimore Orioles played the Chicago White Sox. Ubaldo Jimenez was pitching for the Orioles, who would go on to win the game by a score of 8-2. The April day was perfect - blue sky, crisp air. It was an historic game, a strange game. There had been looting around Camden Yard, unrest in the city, and for the safety of the fans, the game was played in an empty stadium. It may be the only game played under such conditions. And it relates, of course, to Fall Family Weekend. Naturally. 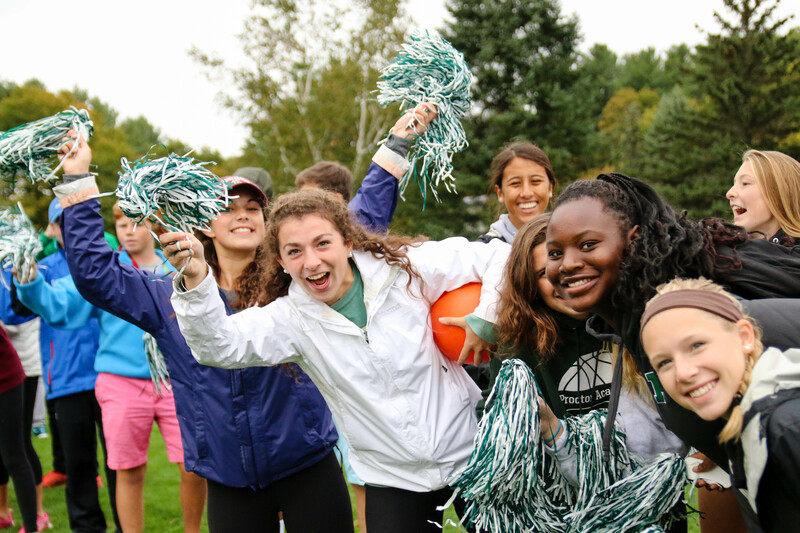 Fall Family Weekend 2016 kicks off with the 26th Annual Proctor Invitational Golf Tournament at Lake Sunapee Country Club Thursday morning! On Friday, parents are invited to attend two classes followed by all-school assembly at 10:00, athletic practices, a ribbon cutting ceremony for the new Dining Commons , lunch, and Parent/Teacher conferences before a few Friday afternoon games. Saturday morning Parent/Teacher conferences and athletic contests round out the weekend. Joanna de Peña '08 was voted onto Proctor's Board of Trustees this past weekend becoming the youngest member of the board to date. In 2004, Joanna made the difficult decision to leave home in Lawrence, Massachusetts for the opportunities Proctor Academy afforded her. Her passion, confidence, and wisdom beyond her years commands the attention of others whether she was serving as the emotional leader of her basketball team at Proctor or is speaking to an auditorium of inner-city youth about investing in their future. 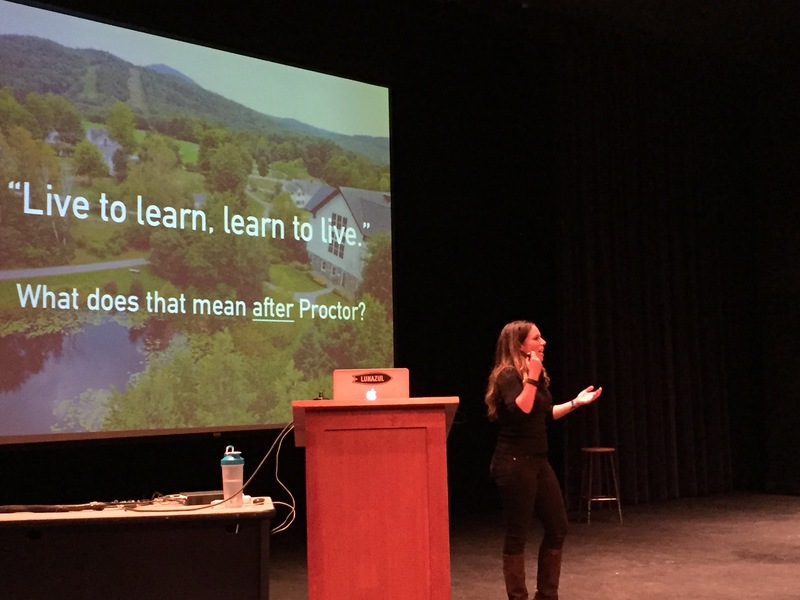 During her recent visit to campus, she shared insights with Freshman Seminar classes, challenged Head of School Mike Henriques to a little one on one in the gym, and reflected on the impact Proctor has had on her life. 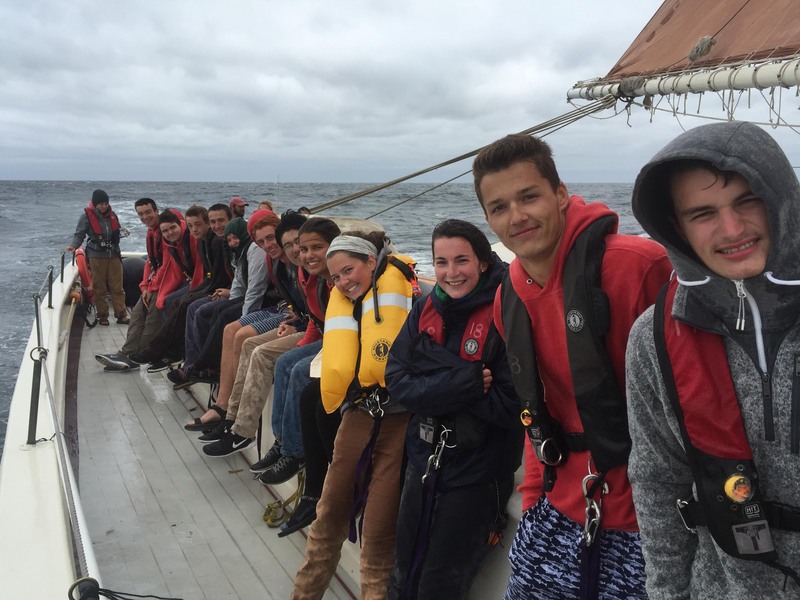 Proctor Academy's Ocean Classroom program aboard World Ocean School's Roseway is now two weeks into their adventure down the eastern seaboard. As Hurricane Matthew makes landfall in Florida, Ocean Classroom waits out the storm in Baltimore where they will be engaging in community service projects with local school groups. 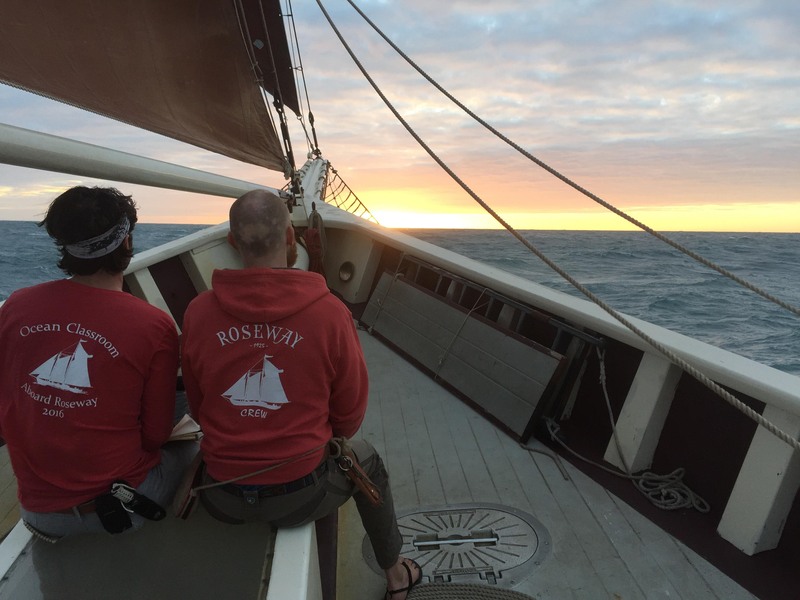 Enjoy this update from Roseway as students reflect on the sail from Mystic to Baltimore! The football game tonight at New Hampton will reveal the way competition courses through the Lakes Region schools. We like to compete against one another, and the contests can be fierce. No school in this grouping, which includes KUA, Holderness, New Hampton, Tilton, Vermont, and Brewster, likes to lose. No player, no coach, no fan. That will be clear tonight, or on Saturday at Tilton where so many of our teams compete this weekend. 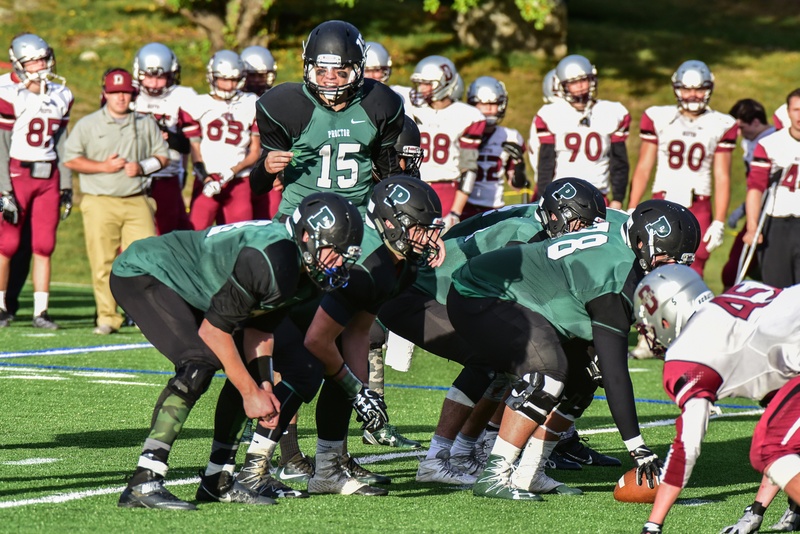 Proctor Academy’s football program has been among the strongest in the Lakes Region over the past decade. With undefeated seasons and appearances in a New England Bowl Game in both 2008 and 2012, the program has alumni playing at NCAA Division 1, 2 and 3 schools across the country. This year’s squad is off to a 1-1 start and looks to write another chapter in Proctor Football’s storied history. These paths hold memories that I can't even imagine. History has traveled this same path. This path goes for many miles, through mountains, valleys, woods, cities, and even farms. So much history is ingrained in this path. I have begun to realize that I am also a part of this history. Everyone that walks this path is part of its history. I am realizing how lucky I am to have the opportunity to become apart of history that goes back more than a thousand years. 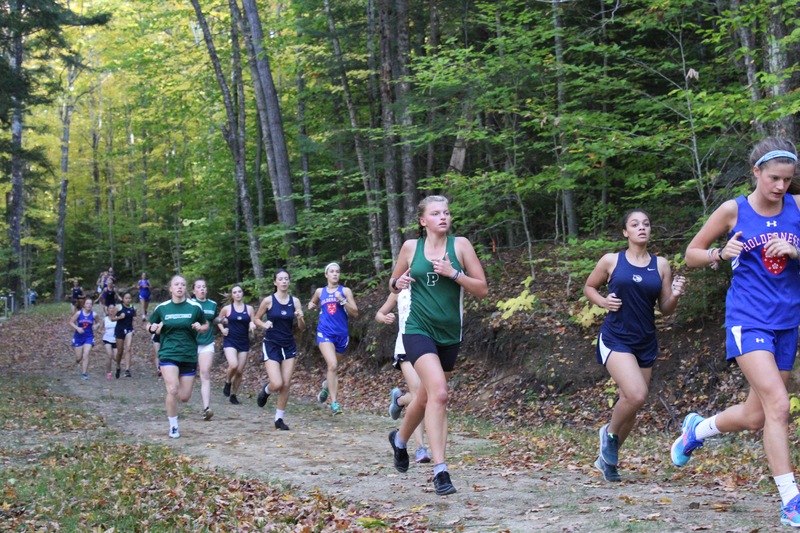 Proctor Academy hosted the 3rd Annual Rail Trail Rally to benefit Special Olympics New Hampshire Saturday morning. 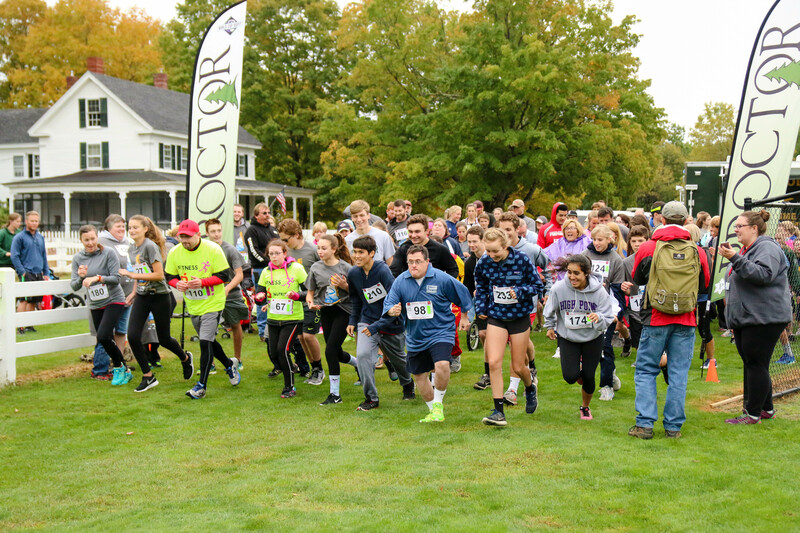 With over 250 participants, including 80 Special Olympians, hundreds of volunteers, and every Proctor student (who was not taking the SAT's) taking part, the event was the biggest in its three year history. Even larger than the event itself, however, is the impact the event has left on each of our lives. 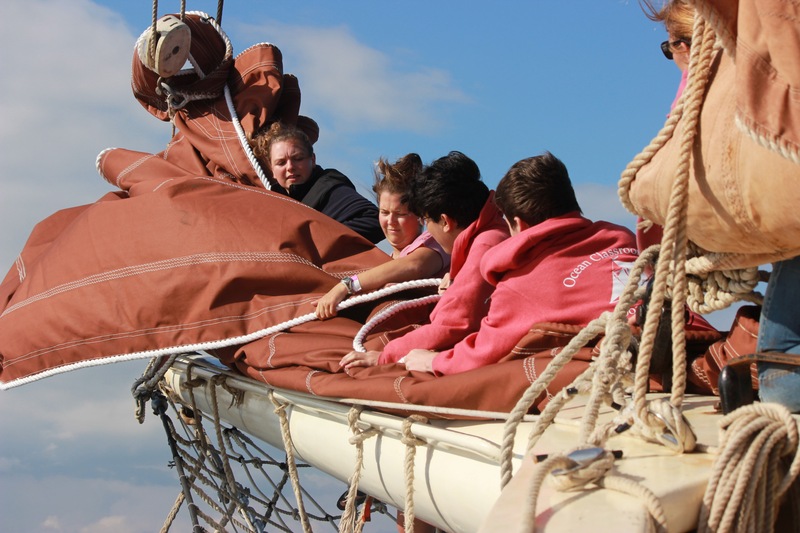 Proctor Academy's Ocean Classroom crew has completed their first week at sea, sailing from Gloucester, Massachusetts through the Cape Cod Canal to Mystic Seaport, Connecticut. Throughout each port stop along the way, portions of the ship's log will be shared with us as we live vicariously through our friends aboard the Roseway. Enjoy this week's window into Ocean Classroom 2016!